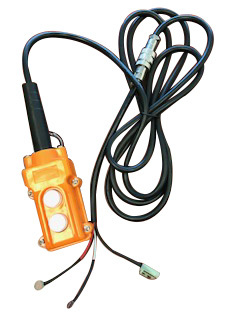 This Bailey Single Acting Remote is most commonly used as a dump trailer remote. This dump trailer remote control is made of a high-impact, highly visible plastic to let you be in control without being in the way. The 3-wire configuration is 12 Volts DC powered. Comes with a 10 foot cord. 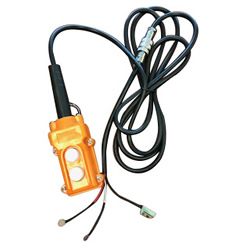 For all 12 Volt DC power units. Weatherproof and dust proof.